Ready to travel.... any time, any where. SORRY TRAVELERS. We are taking a break from having visitors for April and May 2019. We have to much personal business to take care of right now. We will also be traveling ourselves for most of July and August 2019. We like visiting with travelers and sharing destination information, especially about the Central Coast of California and, really, all of the western states. And, we love learning about other peoples adventures. Tuolumne Meadows in the high Sierras. Huntington Lake. Zion and Canyonlands. Highways 12 and 9 through Utah. 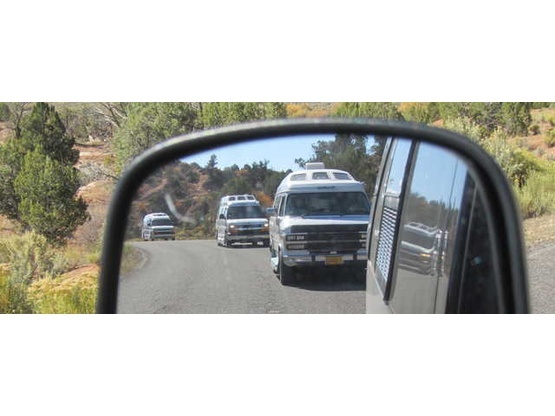 We travel in a 2006 190Popular Roadtrek which is about the length of a long bed pickup truck. We can park anywhere. 15amp electric is nice but not necessary. Enjoyed meeting J and M at my home site. Conversation was too short, but you have to sleep some time :) Nice considerate people. Judy and Marno caught us in a good mood, but with foggy, chilly weather; unusual for our site. 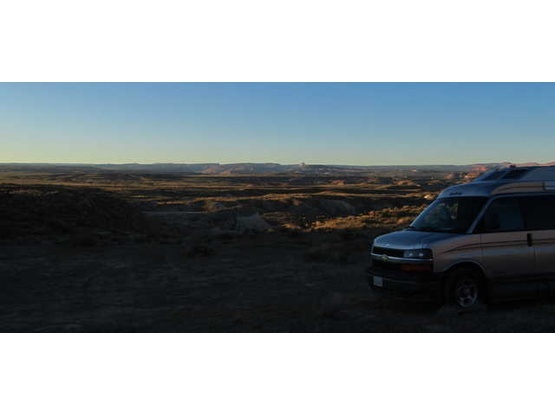 They were gracious guests and were very informative about RV travel and Boondocking in particular. We shared stories of high adventure on the road, and more. 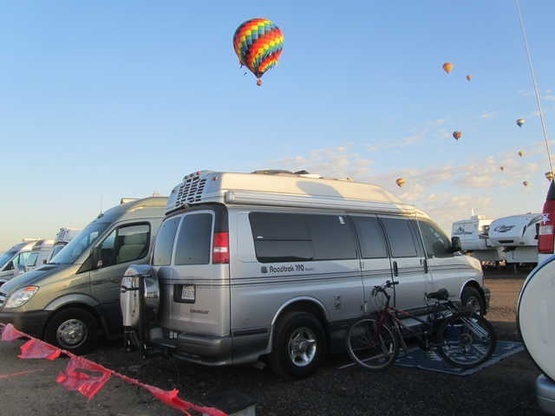 They were our very first Boondockers guests, and they have set a very high standard, indeed! 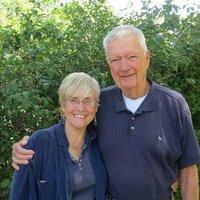 Thank you, Judy and Marno for getting us started on the right footing. See you in Lompoc! Great spot in a nice and quiet neigbourhood! We had a great talk with J and M and they are so great for having us over even though in the midst of moving. Thank you so much!! Judy and Marno were great hosts and very friendly and offered some really useful advise for our road trip up to San Fran. Thanks for making our first Boondockers so welcoming. J and M were incredibly accommodating considering they were in the middle of moving! They gave us some good suggestions of things to do around town, we really enjoyed the local mission. 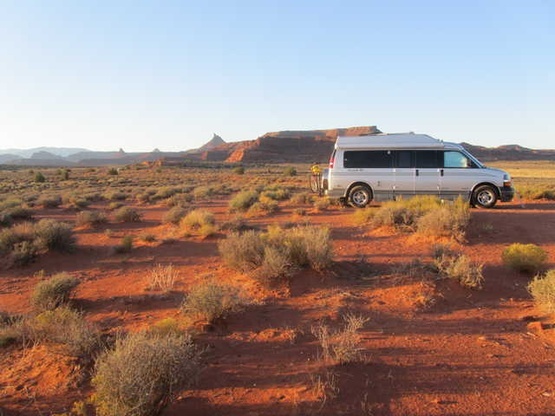 They also helped us plan the next leg of our trip through Utah and we had great chats throughout our stay. We hope to run into you guys again some day! Enjoy the new home! We had a great stay, and some good conversations together with a bottle of good wine next to it. Also gave us good advice about our trip. Would recommend this! I came only expecting a place to park my RV for the night. Instead I met some wonderful people and enthusiastic RVers. 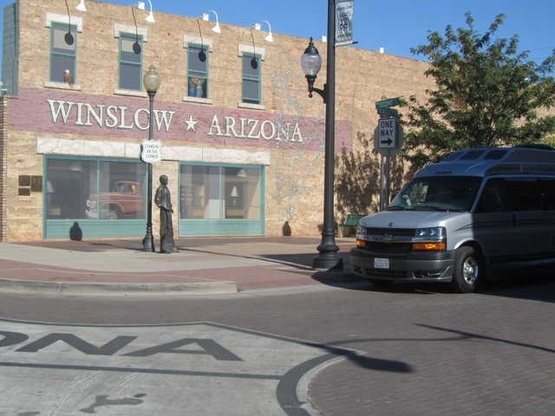 We compared RV setups and they shared lots of tips with this novice RVer. These wonderful people went above and beyond. We really enjoyed meeting them and would have loved to stay longer if we hadn't had to move on to our next music show. We certainly hope to see them again. It was also a very nice, quiet neighborhood. Great for walks. 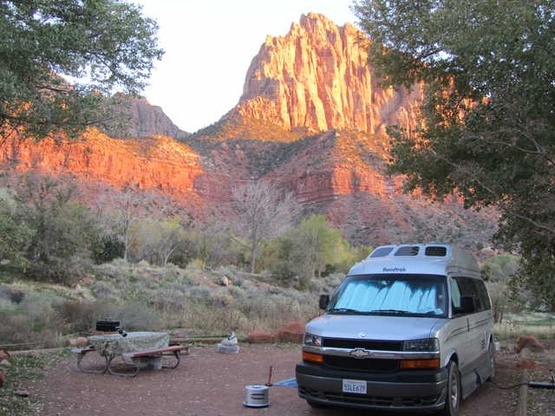 We are traveling for months in the USA and do a lot boondocking. And by Judy and Marno we feel If we visit good friend and family and we knew them for years. We stayed two nights and did a few things together and they showed us the area. We visit their church and met lovely people again. We feel blessed that me met them. We keep in touch and hope to visit that best Boondockers ever end of this year again when we come back to the USA. Thanks!!!!!!! We stayed with J and M for one night, and they went out of their way to be sure we felt welcome. They had the electric cord out when we arrived so we could hook up right away. They even served us coffee in the morning while they helped us chart a course around the road closures to Big Sur. Overall, a great place tand stay the night! We really enjoyed our stay. A beautiful, quiet spot with wonderful hosts. Would love to visit again soon! We arrived later than planned at J & M's beautiful home. We are glad we did as we were welcomed by some deer in the garden, it was great to see the wildlife. On arrival J & M invited us in for some drinks and nibbles which was much appreciated, especially by our daughter. Sadly we were only staying the one night and were leaving the next morning, so we spent a while of the evening listening to their stories of their adventures and sharing ours. We also mentioned where we were headed next, at which point J pulled out all of her maps. In the morning after breakfast we went in and J had more maps laid out for us to take. They had both recommended several places to visit on our journey up north. They gave us so much information for the road and also for Yosemite National Park. We are so thankful for the recommendations as we got to see so many amazing things. We wish we could have spent more time with you. We hope we get the chance to meet with you again one day. We stayed with J and M for one night and it was a great first experience. They provided us with maps and all other sorts of useful travel advise. The area they live is very pretty. A very nice couple and we hope to see them in Europe sometime soon. We stayed 2 nights. It was very nice ! They made us very comfortable. We had all the commodities available. Thank you very much for everything:). We stayed with J and M....Central Coast for 1 night. Though members for over a year, this was our first Boondockers Welcome experience and we didn't know what to expect. Having a Roadtrek was instant connection for the 4 of us - plus we found out we knew people in common. They were very gracious and welcoming. We communicated a few times before our stay and they recommended a beach area in Lompoc that was uncrowded and easy. We'd been overwhelmed by Pismo Beach, etc. - way too frenetic and crowded for us. The Surf Beach was wonderful = just what we needed. We discussed whether we could be hosts in Portland - and after talking with them and seeing what's involved in hosting - we're going to offer street parking in front of our home. We stayed one night at J & M's home in Southern California...a very sweet couple who were very accommodating. We felt safe and welcome. They took the time to share their knowledge of the area with us and also gave us some very good suggestions of places to see. Thank you once again, J & M, for your time and generous hospitality! We certainly hope to be able to repay the favour and welcome you in our hometown of Shediac, NB, Canada! A must! What lovely hosts! J and M were lovely hosts. 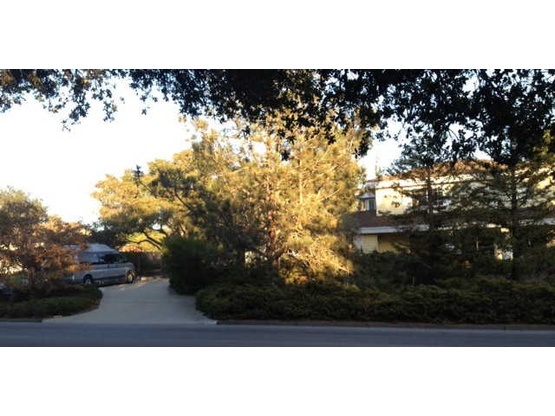 They have a wonderful home and a big driveway with enough space for a mobile home. 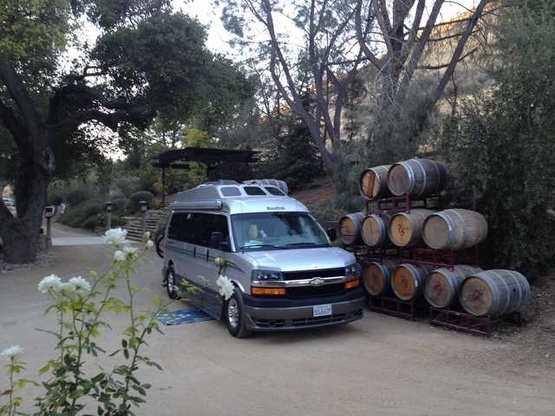 We got along with them very well and enjoyed all their recommendations including exploring the local wine country, and visiting the Solvang Danish village and Saint Ynez areas. They were very relaxed and extremely accommodating. It is well worth your while stopping over and staying with them. We will hopefully be back one day! Judy and Marno invited us to stay in Lompoc during our roadtrip in the southwest and they were were wonderful hosts indeed: kind, hospitable, informative and nonintrusive (hope they can say the same about us!). We did feel welcome and looked after. I hope we'll see them again!